Manufactured in Italie from Circa 1950 until 0. At the beginning of the Fifties, Don Camillo could have used this small metal box 6x9. It presents great resemblances to certain Scoutbox, particularly for its finder. 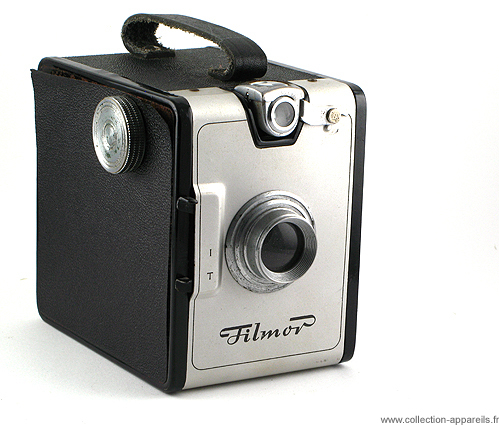 The name of the manufacturer appears under the camera, but on the decorative part made of brushed aluminum. Frictions are right often of this inscription.